Few scientists have had access to a thigh bone kept in a French collection for over a decade. When anthropologists meet in France at the end of January, one of the most provocative fossils in the study of human evolution will not feature on the agenda. The approximately 7-million-year-old femur1 was examined more than a decade ago by scientists in the French city of Poitiers, but has yet to be thoroughly described in a published scientific paper. The fossil may belong to the earliest known hominin, the group that includes humans and their extinct relatives. Few people have had access to it, but two scientists who analysed the bone briefly in 2004 have prepared a preliminary description of it. They had hoped to present their analysis at the meeting, which is organized by the Anthropological Society of Paris and is taking place in Poitiers. But the proposal by Roberto Macchiarelli, a palaeoanthropologist at the University of Poitiers and France's National Museum of Natural History in Paris, and Aude Bergeret, director of the Museum of Natural History Victor-Brun in Montauban, France, was rejected by the conference organizers. The Anthropological Society of Paris told Nature that it had rejected 6 out of 65 abstracts. It said: “This work is conducted by an independent and impartial scientific committee, which is sovereign in its decision. Hence, any accusation about this would not be founded”. 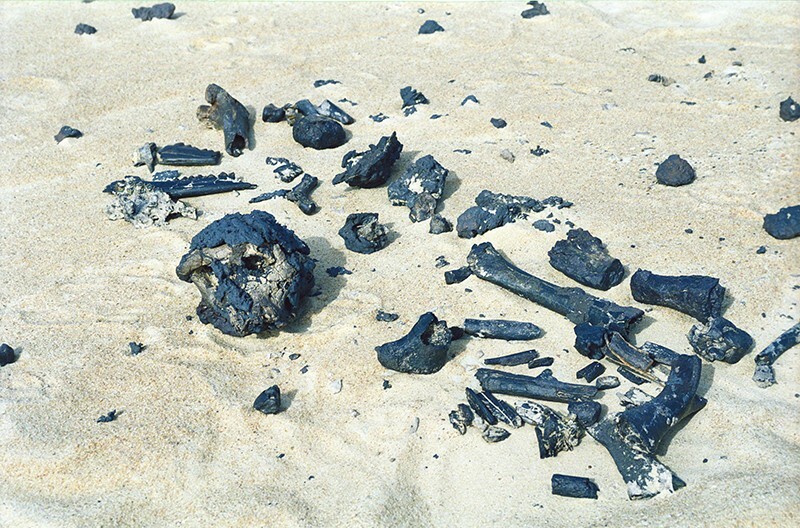 The Sahelanthropus femur was discovered early on the morning of 19 July 2001 beside a battered skull and other bones at a site in the Djurab Desert in northern Chad, says Alain Beauvilain, a retired geographer who led the field team that made the discovery and who was present at the time. Michel Brunet, a palaeontologist at the University of Poitiers, who headed the Chadian expedition that discovered the Sahelanthropus remains, argues that the species is the earliest known representative of the hominin lineage. Other researchers have questioned whether Toumaï was indeed part of the lineage that led to humans, pointing to recently discovered fossils from Ethiopia and Kenya as better contenders for the earliest hominin. But Brunet’s team has stood by Toumaï’s hominin status in response to the controversy4 and in a subsequent publication that described a lower jaw and teeth3. Despite the debate, the discovery of the fossils made Brunet famous in France, and especially in Poitiers, where a street is named after him. Beauvilain says that the femur and other material remained in Chad until they were eventually shipped to Poitiers in 2003, where they were stored in a collection of animal bone fragments from the trip. In 2004 Bergeret, who was then a graduate student at the University of Poitiers, came across the blackened and badly damaged bone while analysing other animal bones in the collection. “I discovered the femur by chance,” says Bergeret. David Pilbeam, a palaeoanthropologist at Harvard University in Cambridge, Massachusetts, who was a co-author on the 2002 and 2005 papers describing Toumaï’s skull and jaw, says that he saw the femur briefly while visiting Brunet in Poitiers more than a decade ago, but that he is not involved in any analysis. “All I can recall is that it lacked ends and was very black,” he says. In their short description of the femur, Macchiarelli and Bergeret contend that the bone differs greatly from that of a roughly 6-million-year old potential hominin found in Kenya in 2000 that is thought to have walked on two feet, called Orrorin tugenensis. Macchiarelli doubts that Sahelanthropus is a hominin, but thinks a conclusion should be made only after more careful study of all its remains, including the femur. The femur and other Sahelanthropus remains are crucial to determining the status of the species, because individual anatomical parts can often be misleading about evolutionary history, says Bernard Wood, a palaeoanthropologist at George Washington University in Washington DC. And even if the species turns out not to be a hominin, he says, it is an incredibly important fossil because it might identify a now-extinct lineage of great ape that once roamed Africa. Lebatard, A.-E. et al. Proc. Natl Acad. Sci. USA 105, 3226–3231 (2008). Brunet, M. et al. Nature 418, 145–151 (2002). Zollikofer, C. P. E. et al. Nature 434, 755–759 (2005). Brunet, M. Nature 419, 582 (2002).